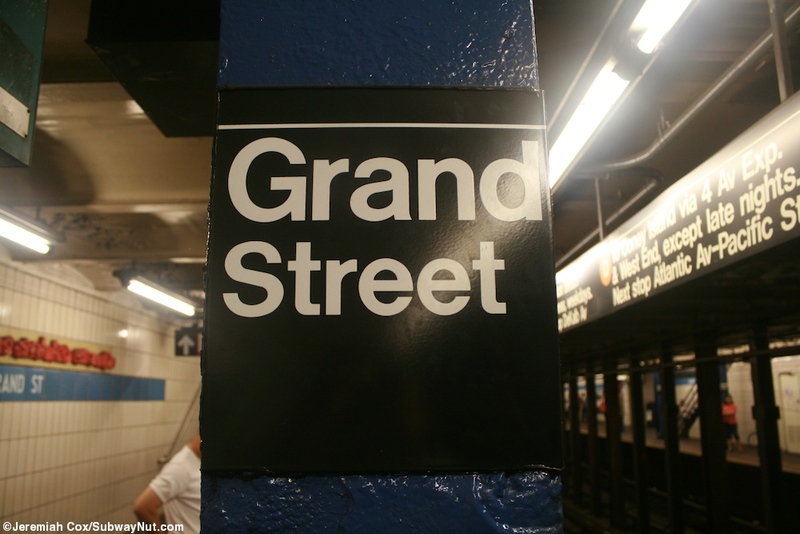 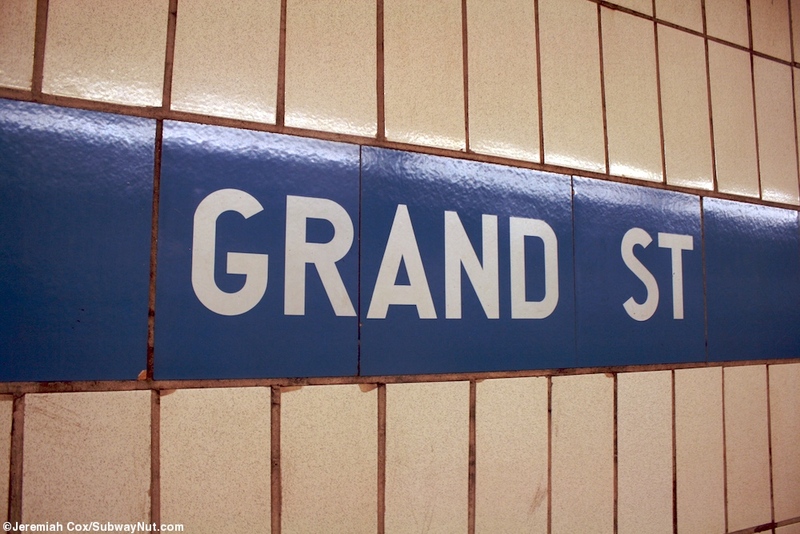 Grand Street is a unique subway station that is the ninth newest subway station, the one intermediate station opened on November 26, 1967 as part of the Crystie street connection. 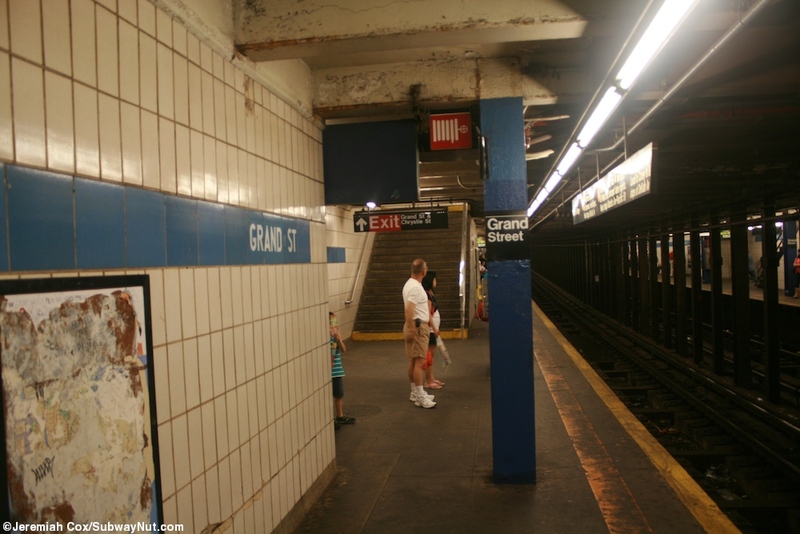 The stop unlike its closest counterpart, the 57 Street/6 Avenue terminal, was not designed to handle crowds like that station (it has lots of exits and a full length mezzanine) even though its location, now in an extremely bustling portion of Chinatown means it is the 43 most busy subway station in the system (57 Street is 96th with about half the ridership). 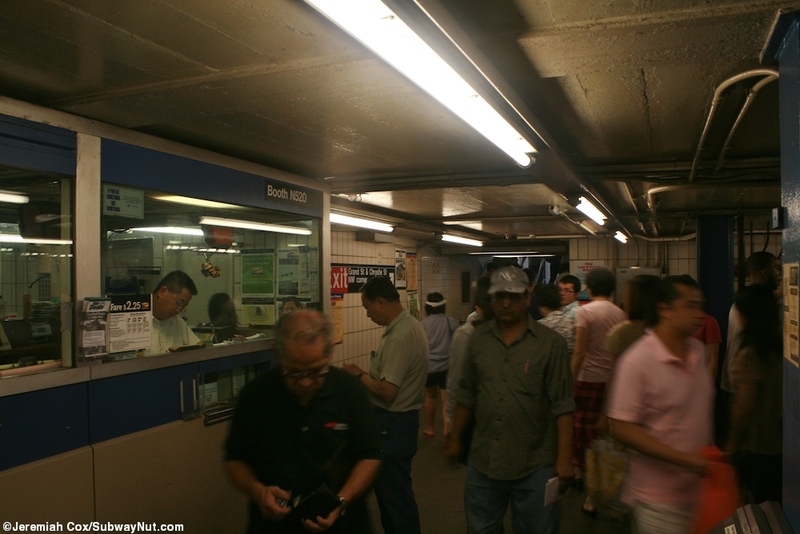 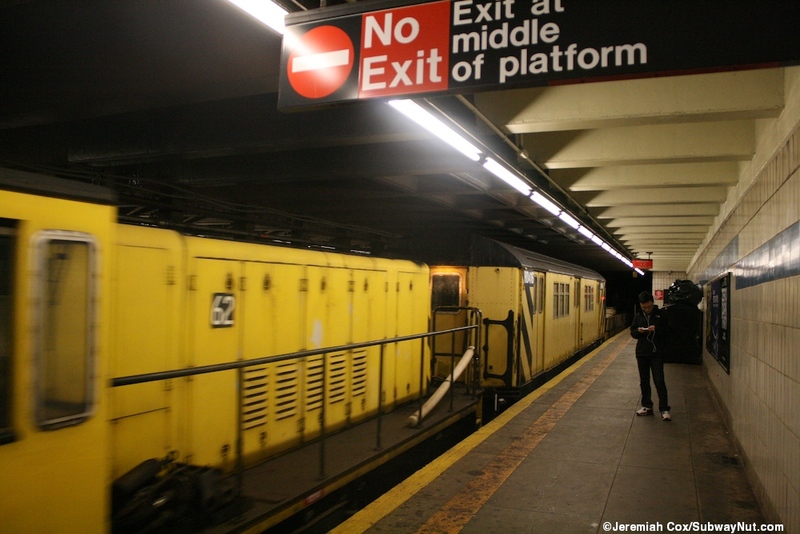 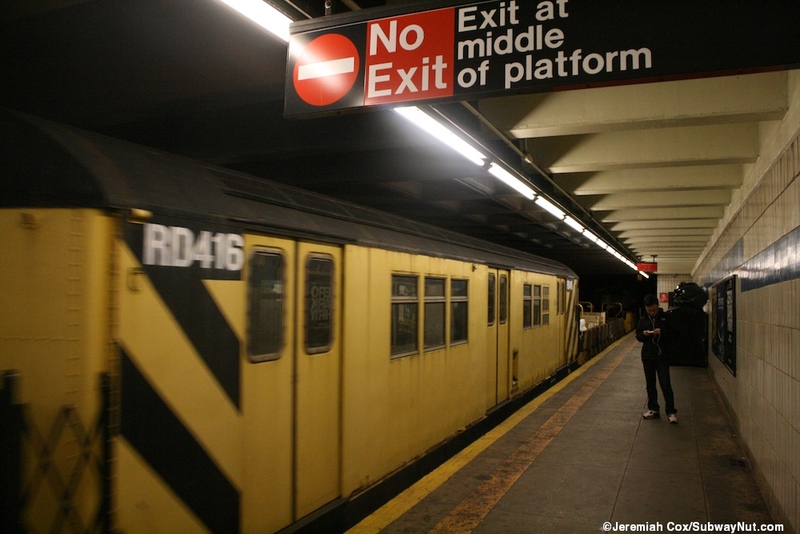 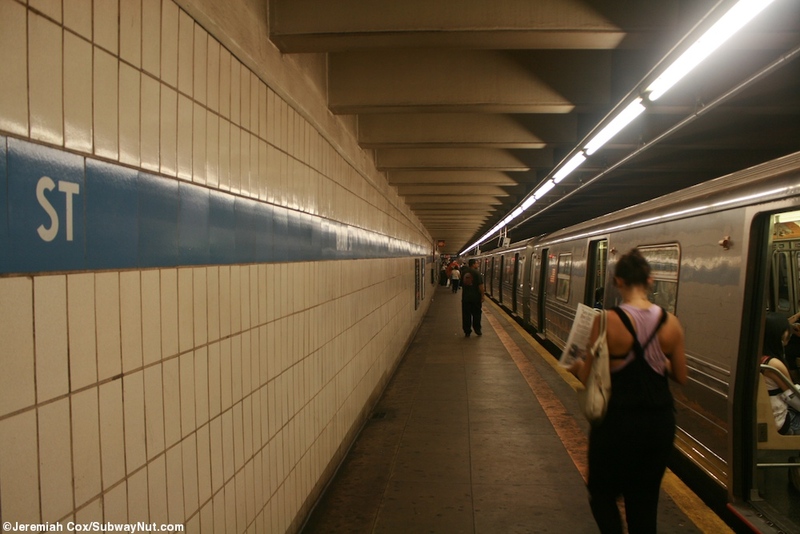 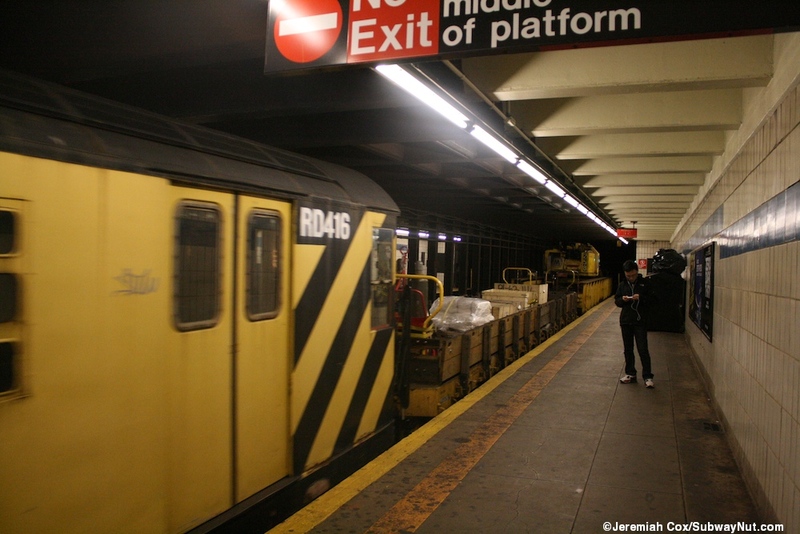 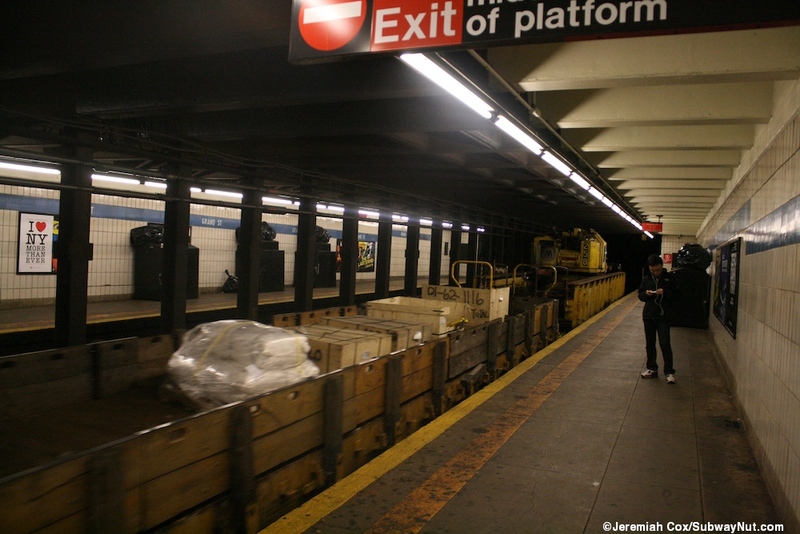 The station also has had to contend with shuttle service on and off during the three times the north side of the Manhattan Bridge had to be closed, from 2001-2004, in 1995, and 1986-1988 making passengers contend with the Grand Street Shuttle up to Broadway-Lafayette or West 4 Street. 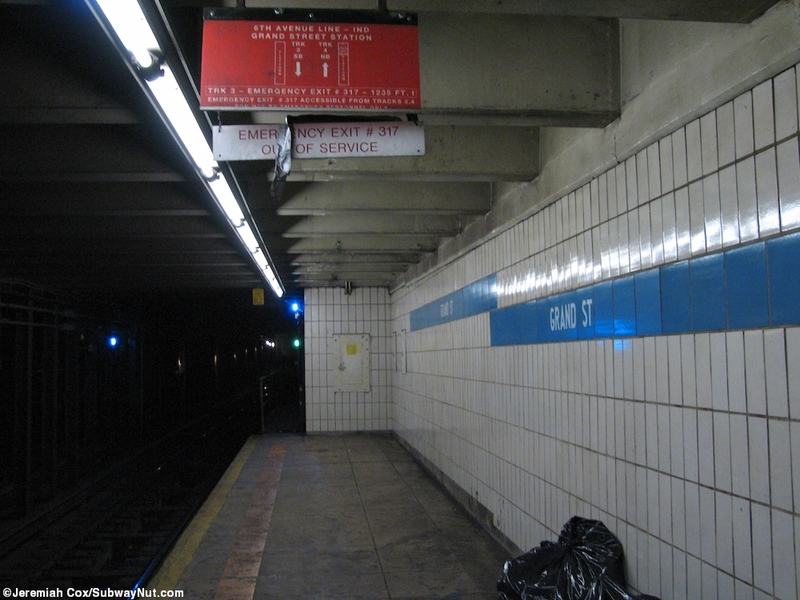 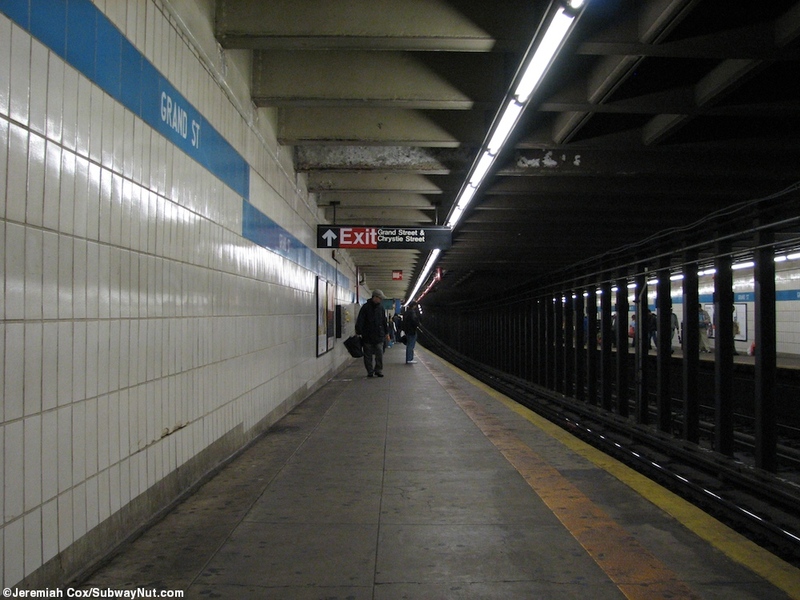 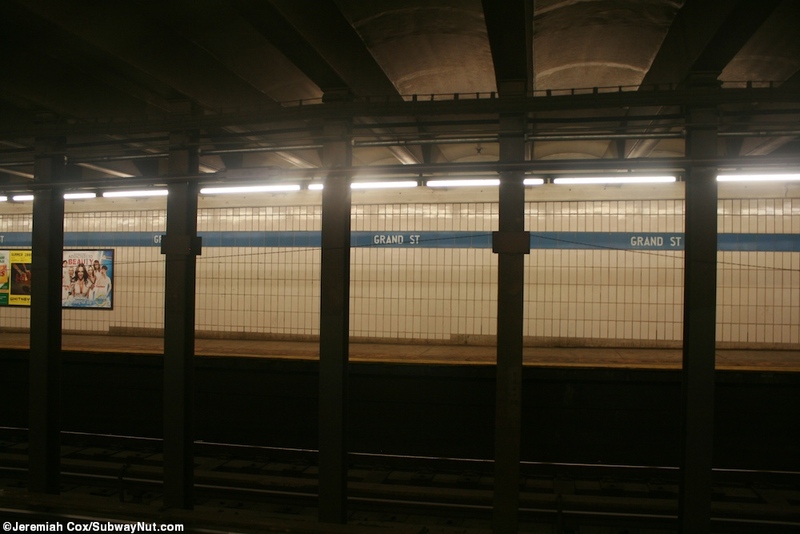 The stop has two narrow island platforms with column-less walls except where the small mezzanine is and a blue 1960s trimline with Grand St written in white at regular intervals, the only indication of the stations name. 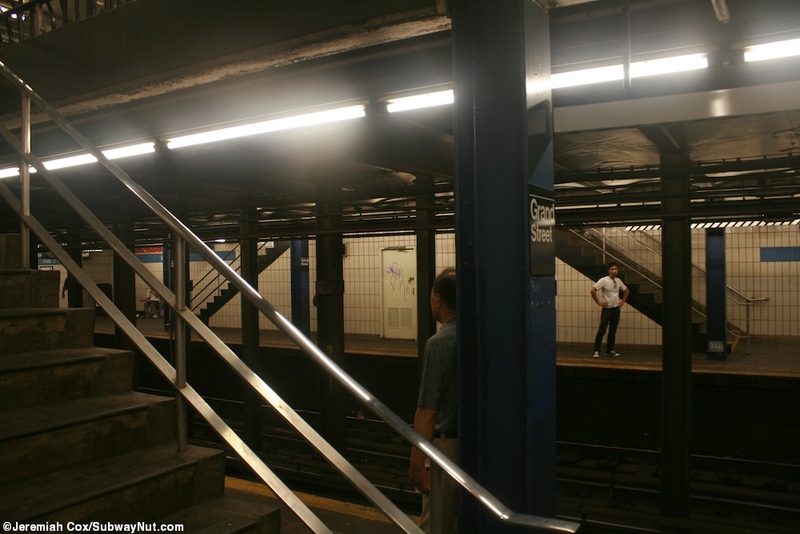 There is a single exit on a small mezzanine accessed by two staircases up from the middle of each platform. 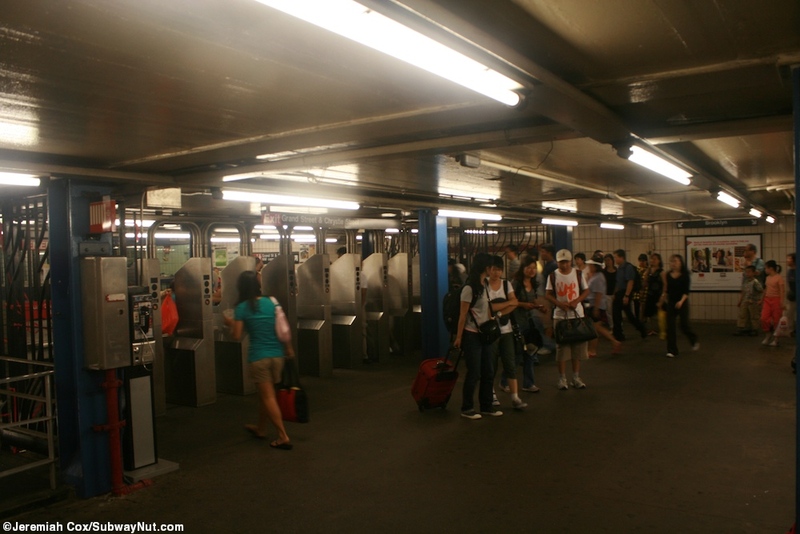 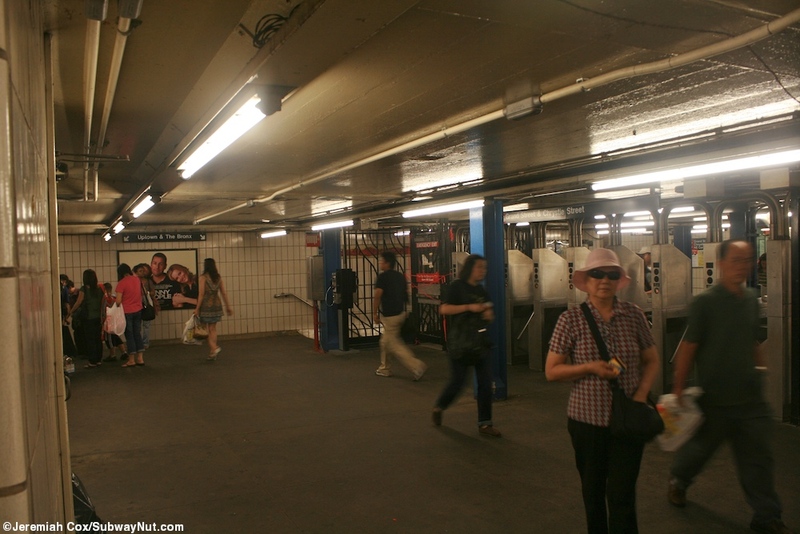 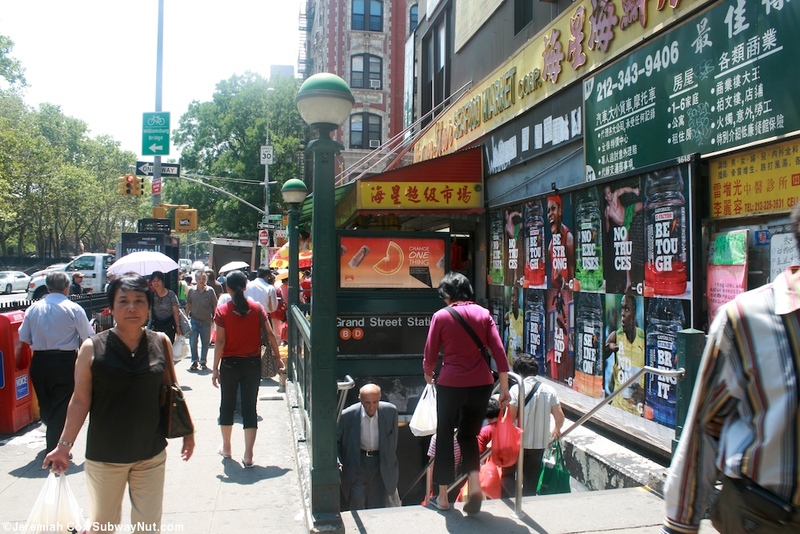 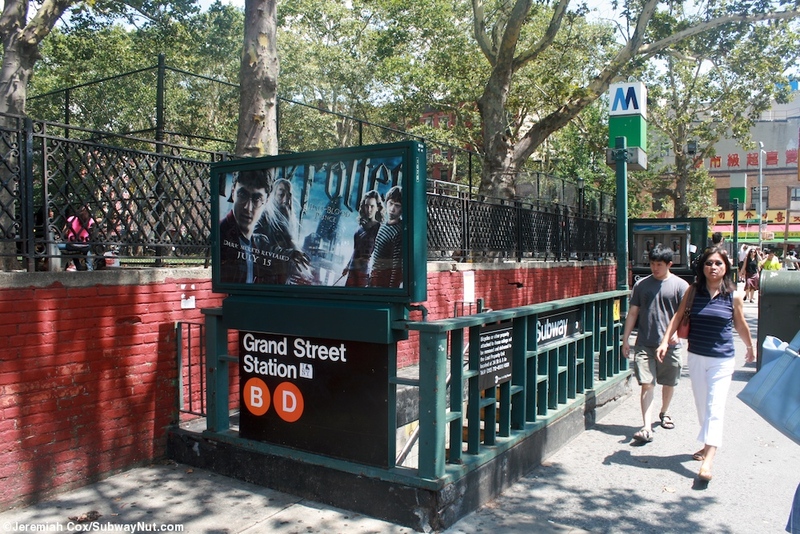 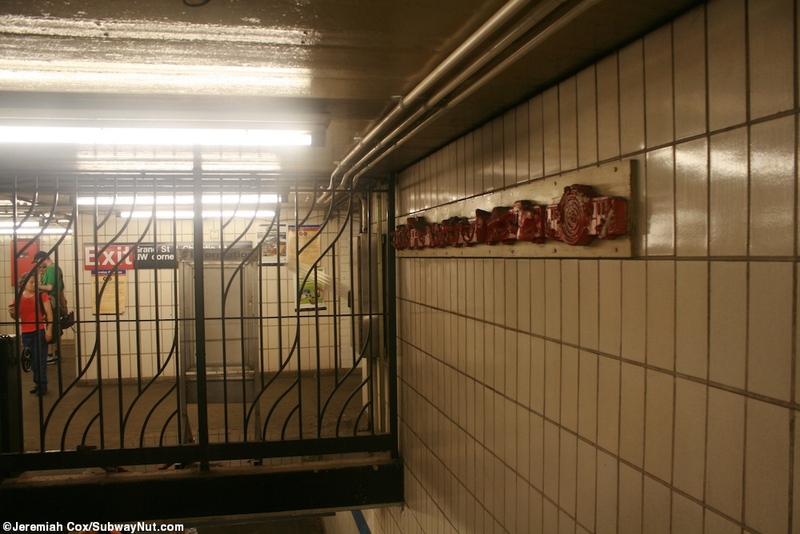 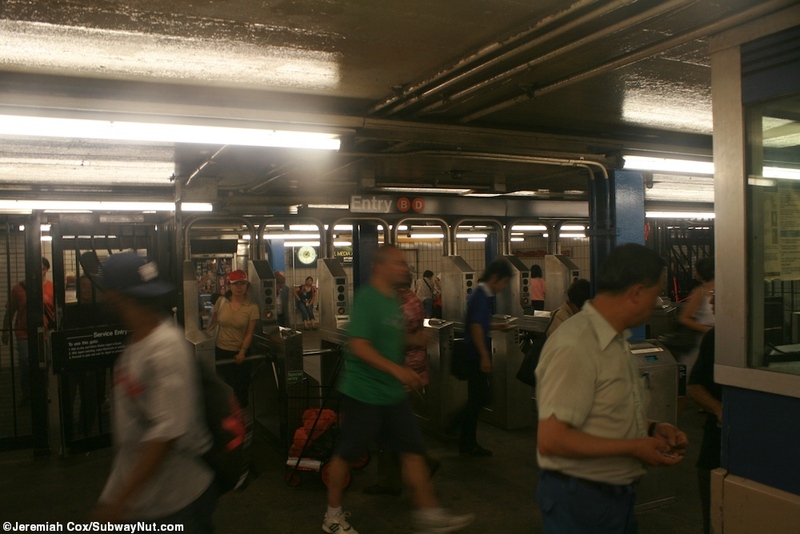 This mezzanine has a newsstand and fully staffed bank of turnstiles and streetstairs out to one at the NW corner of Grand and Crystie Streets, and two near the NE corner along Sara D. Roosevelt Park. 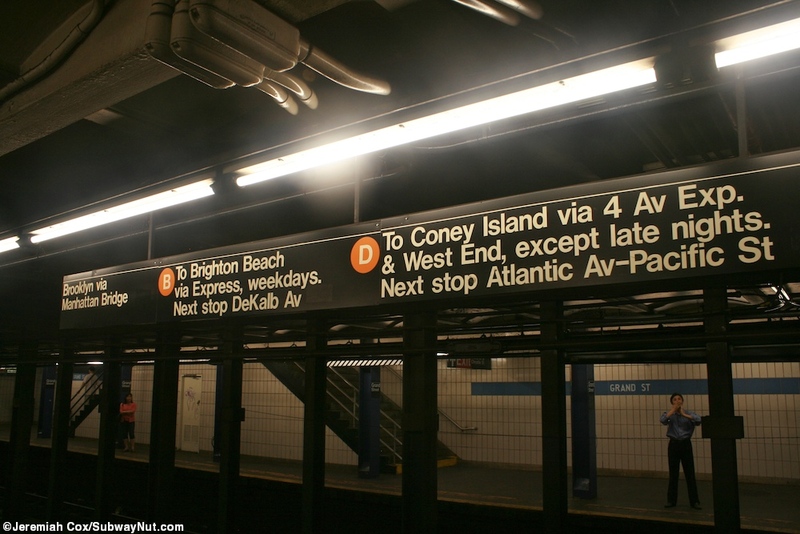 The service sign for the Brooklyn via Manhattan Bridge platform what do you want your next stop to be?